Paavo Allan Engelbert Berglund was the vanguard of a virtual army of Finnish conductors that would follow him. Unlike the his younger colleagues, he was not yet a product of Jorma Panula’s conducting school but started out as a violinist at the Finnish Radio Symphony Orchestra. To see if he couldn’t conduct better than the maestros he played under, he founded his own chamber orchestra. 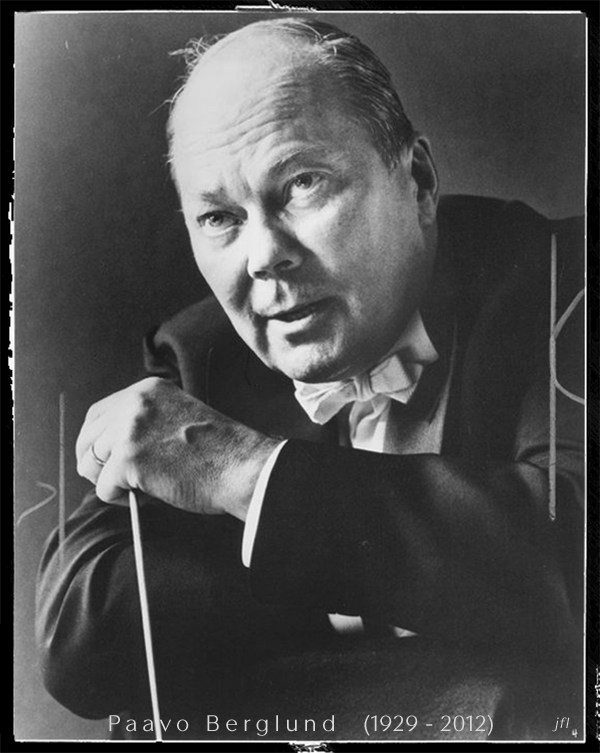 Seven years later he became the Associate Conductor of the Finnish RSO and another six years later, in 1962, their chief conductor—a post he held for nine years. He was what would now be euphemized as an ‘old school’ conductor; a ‘rigidtarian’ to whom detail, accuracy, and excellence came decidedly ahead of airs of happy-family or team-building. The foundation of his lasting fame was achieved during his time at the Bournemouth Symphony Orchestra, which he headed from 1972 until 1979 and which saw a good amount of recording activity, including his first of three cycles of Sibelius’ Symphonies (Royal Classics). Sibelius had encouraged Berglund early in his conducting career and it was to this composer that Berglund would always return in his life. 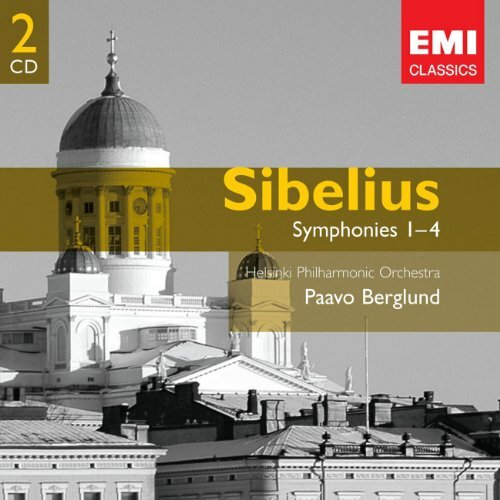 Berglund was instrumental in a corrected new edition of the Sibelius Seventh Symphony being published. 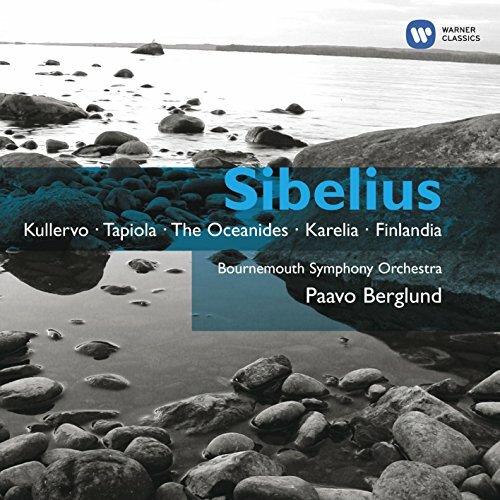 The Bournemouth recordings of Sibelius’ tone poems—Kullervo, Tapiola, Finlandia, Karelia, and the Oceanides—have become a staple in record collections around the world. 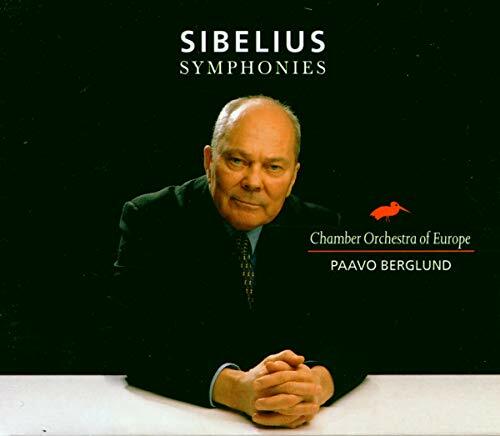 Just as many LP and CD collectors must have grown up with his Sibelius Symphonies on EMI which he re-recorded in the 80s with the Helsinki Philharmonic, returning to the orchestra of which he was Music Director from 1975 until 1979. From 1987-91 he was the Royal Stockholm Philharmonic’s Principal Conductor. And, making his working-tour of the Nordic countries nearly complete, he became the Chief Conductor of the Royal Danish Orchestra (1993-98) shortly after recording a Nielsen Symphony cycle (RCA) with them. 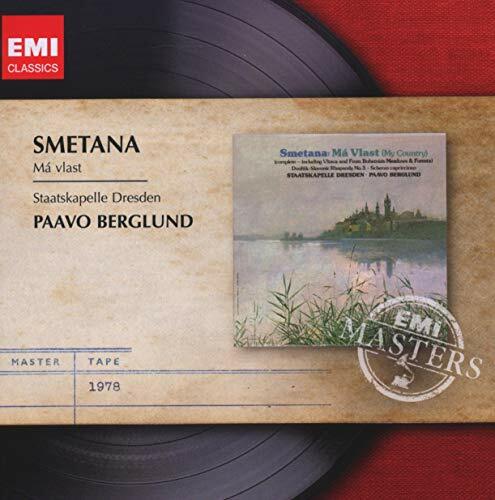 Berglund’s recorded output is not vast, but studded with gems beyond his Sibelius. His Má vlast with the Dresden Staatskapelle is uncommonly gorgeous (EMI). 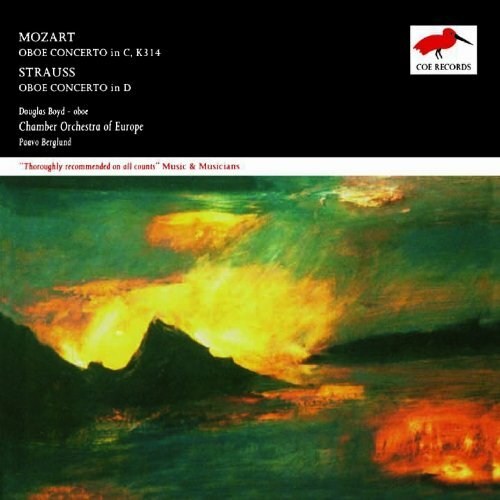 Strauss’ Oboe Concerto with Douglas Boyd and the Chamber Orchestra of Europe is, like the Mozart coupling, one of unhurried, polished beauty (COE Records). 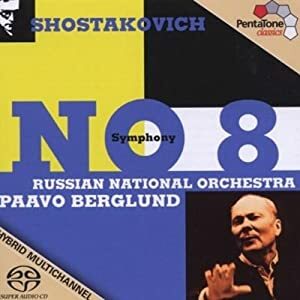 Shostakovich was another constant in his conducting life; from early, excellent recordings of the 6th, 7th, 10th, and 11th with Bournemouth (EMI) to his participation in the multi-conductor cycle of the Russian National Orchestra (Pentatone), a deliberate-then-overwhelming 8th. 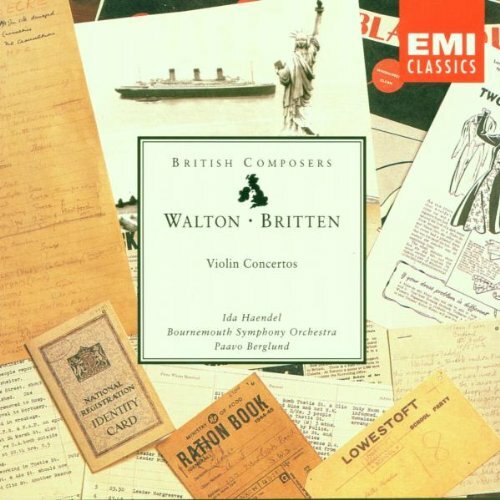 Berglund recorded Rachmaninoff’s Third Piano Concerto early in the career of Leif Ove Andsnes (Virgin/EMI) and accompanied the marvelous Ida Handel in the Britten and Walton Violin Concertos (EMI). In 1996 he set out to record the Sibelius Symphonies for a third and last time – with the Chamber Orchestra of Europe (Finlandia). 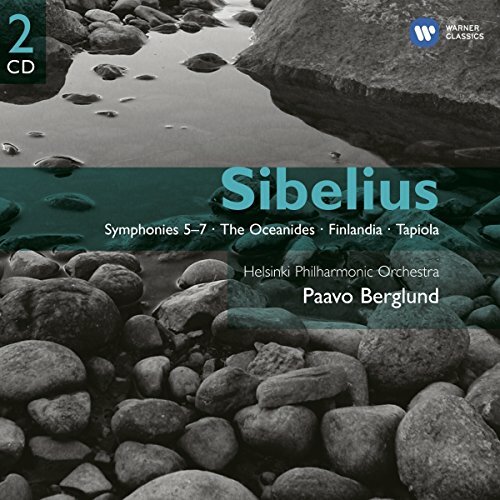 A different take on Sibelius emerged in these recordings: Sparse and clear, disembodied to a degree, and lacking—superficially—the “gravy” that Sibelius once recommended a conductor to “swim in”. The somber, touching quality of the performances make them especially worth seeking out. Paavo Berglund died at his home in Helsinki on January 25th, at the age of 82.